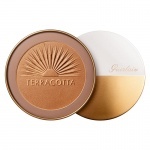 Guerlain Terracotta Sun Protect SPF 30 sunscreen for face and body provides real moisturising sun protection while protecting the skin from photoaging. 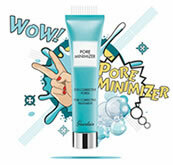 Enriched with Tan Booster Complex, the formula activates, facilitates and prolongs the tan. 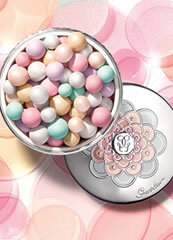 The melting texture envelops the skin in the delightful scent of Tiare flower. 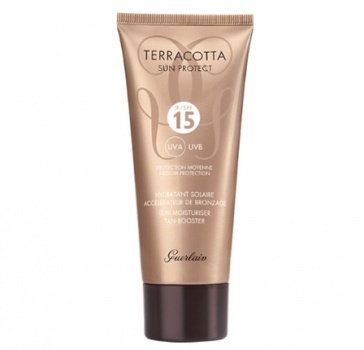 Guerlain Terracotta Sun Protect comes in a handy 100 ml tube suitable for carrying in cabin luggage on flights. 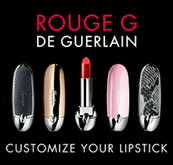 -Apply sunscreen products before sun exposure. Do not stay too long in the sun, even while using a sunscreen product.-Apply generously. Reducing the quantity of sunscreen product applied will lower the level of protection significantly.-Reapply frequently to maintain protection, and especially after perspiring, swimming or towelling.